It has been 3 weeks since I had my hair colored and trimmed at The Comb Hair Studio, and it always look a little better each passing day. I chose to write this review only now as I needed time to see how the color would change with washes. 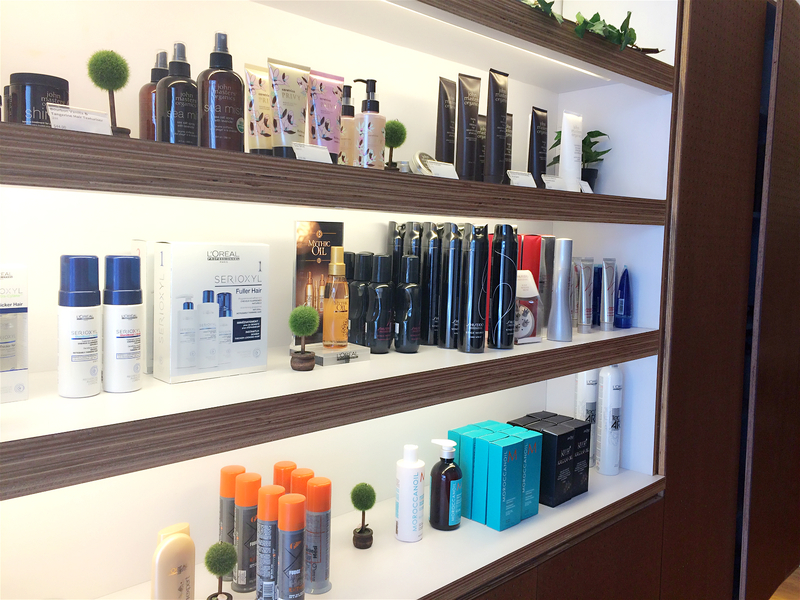 The Comb Hair Studio is a Korean hair salon with their hairstylists coming from different parts of South East Asia - Seoul Korea, Shanghai, Taiwan and Singapore. I was a little surprised when the staff spoke Korean to each other while I was there, but also felt it was really cool. 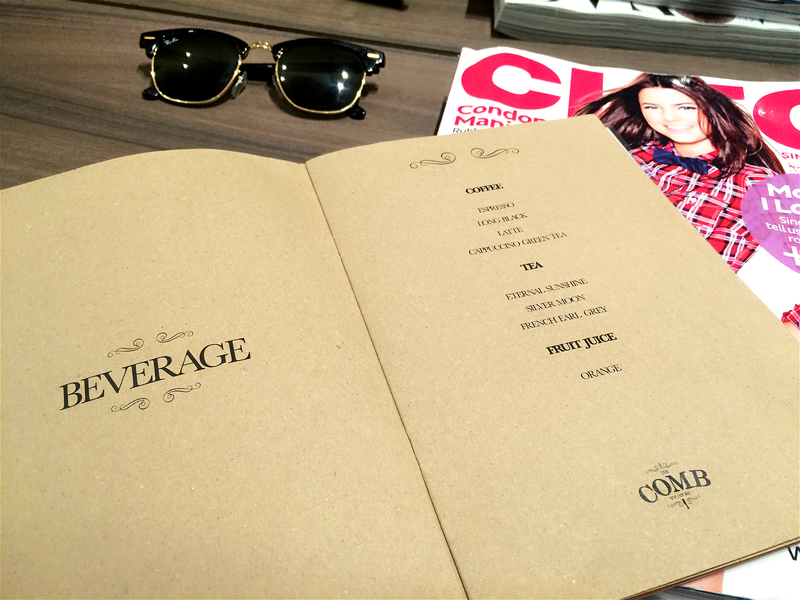 When I was seated, I was greeted with a beverage & service menu together with some magazines. The menu looked really nice and it suited the ambience. I shall let a picture speak for itself. 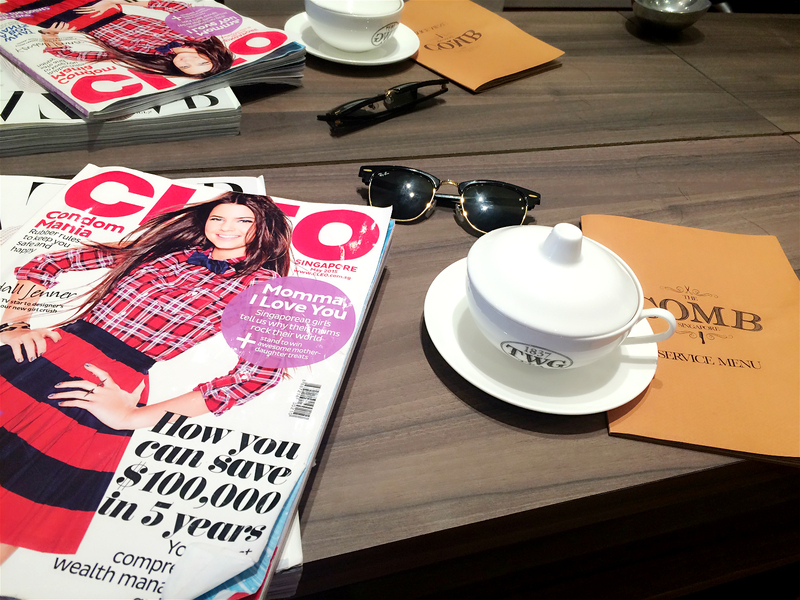 I chose an off-the-menu Jasmine green tea as my thirst quencher throughout my long hair pampering session, and it came in a classic TWG Tea Afternoon Teacup served with the saucer. Looks so pretty and photo worthy! 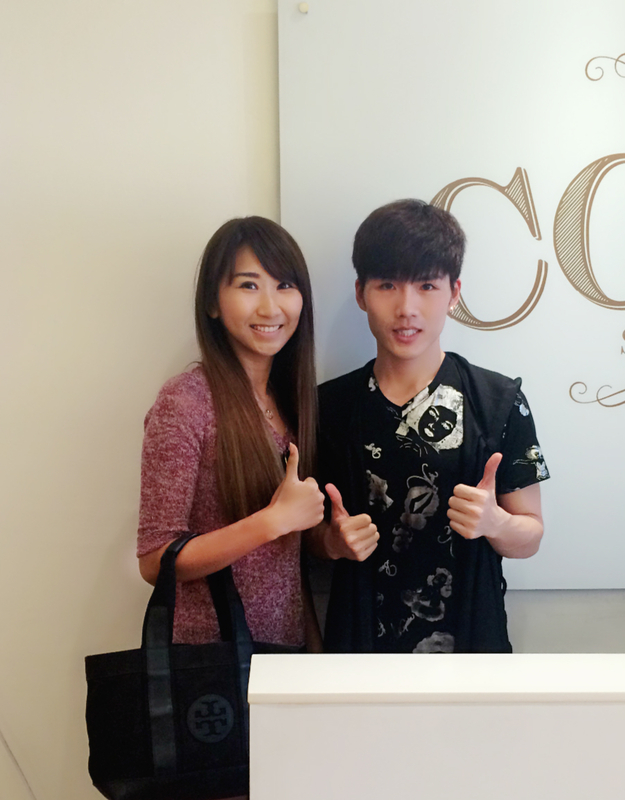 After I settled down, senior stylist Henry Yu came to ask me what am I looking at doing that day. My hair color has been looking dull so I chose to spice it up with a new color, flipping through the color book, I finally decided on the lightest brown with slight ash (that doesn't require bleaching) after asking for opinions from Henry. It was done meticulously by Henry himself and one other colleague (I guess my hair is too long and thick for 1 person to do the job). After some time of waiting for my hair to "eat" the color, I was finally brought to the hair wash station. 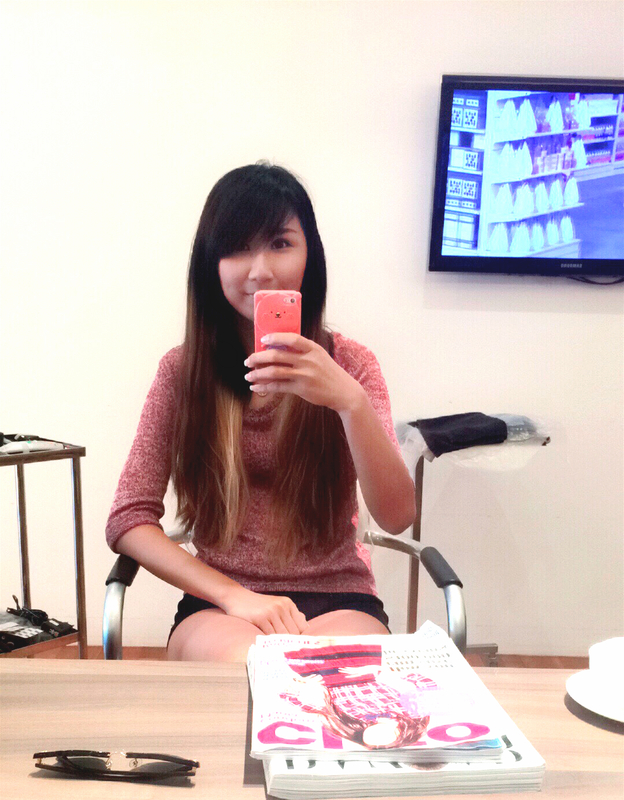 I was given the longest and most thorough hair wash I have ever had at all the different salons I have been to. It felt comfortable and the temperature on my scalp was just right. It's like my scalp had some really deep cleansing haha. Following the wash was of course, blow drying. It was after blow drying I can see how the hair color actually turned out. I also had my hair trimmed as I self trimmed it not long before I went to The Comb and it was a mess. Henry gave me advices on how I should not trim my fringe the way I did, telling me where is the shortest I can go that will complement my face shape & looks. By a little but at least the color is more noticeable now. And my hair still looks pretty healthy.